A gasoline engine needs three things to function: air, fuel and spark. Reduce or contaminate any one of those three components and your engine loses fuel economy, driveability, and performance. 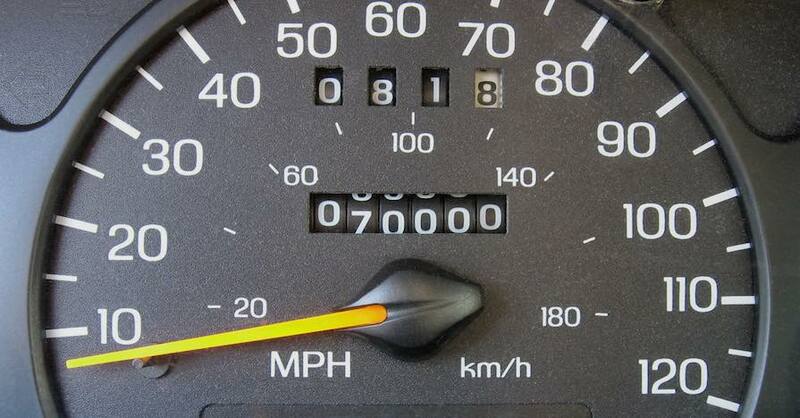 Additionally, if the air is dirty, the life expectancy of your engine is greatly reduced. 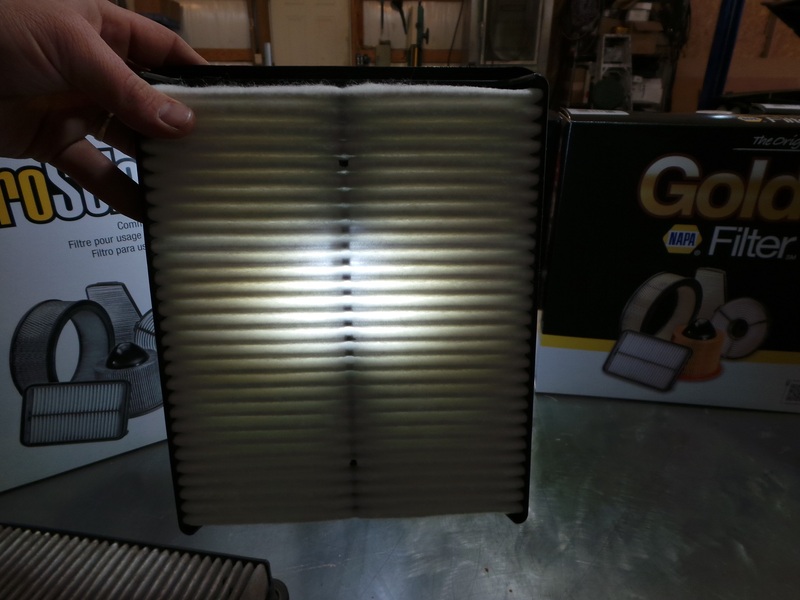 We are focusing on the air component, specifically, keeping it clean and free flowing with a proper air filter. The average engine can breath in thousands of gallons of air per gallon of fuel. 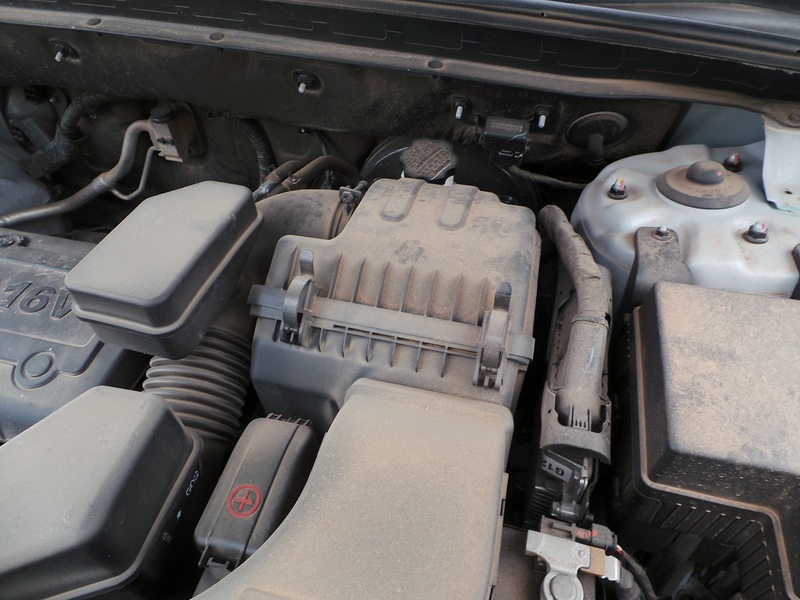 This air comes straight from the atmosphere, meaning that the inside of the engine is exposed to all the dirt, bugs, moisture and other contaminants that come with it. Just one aspirin worth of dirt can wreak havoc on the internals of the engine, to the tune of 30,000 miles worth of wear. Keeping the air clean is of the utmost importance. This is the sole job of the engine air filter. 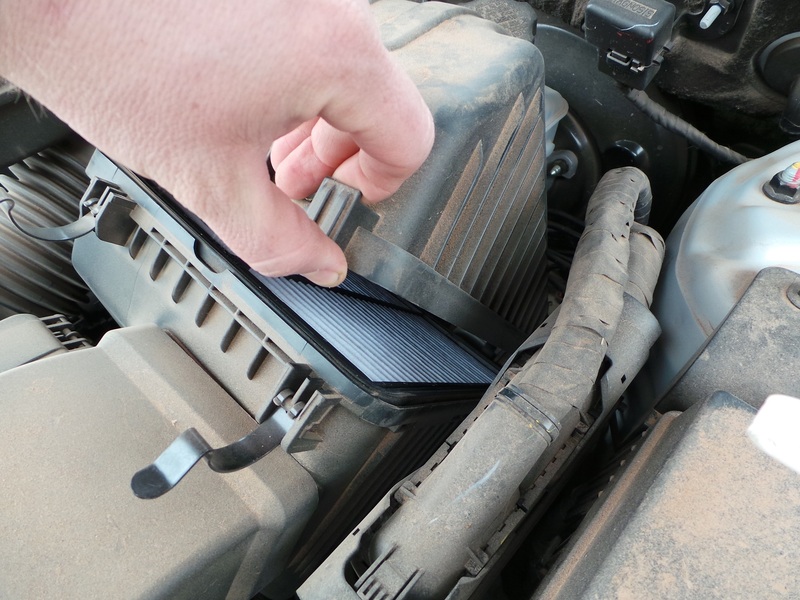 The air filter is located between the fresh air inlet and the engine in an air box. Most modern fuel injected engines use large round tubing to connect the air box to the engine, making it easy to find. The box may be secured with spring clamps or screws, but they should be easy to remove, yielding access to the filter. This is a typical airbox. This particular vehicle is a 2003 Chevrolet Silverado. Replacing the filter is quite simple, but what you replace it with is not. There are good filters that flow well and filter out all the dirt and then there are junk filters that don’t. Determining which can be tricky. There are several factors for selecting a filter- construction material, filtration, and flow. Most airboxes use spring clamps. The filter looks clean, but this is the engine side. Construction: There are three common types of engine air filters- non-woven (often paper, most common factory-style), cotton and foam. Aftermarket “performance” filters are typically made from oiled cotton gauze or foam. These filters are marketed for modified and performance vehicles, but their efficiency is up for debate. Most vehicle manufacturers uses paper-style filters, so for this air filter guide we will focus on factory-replacement units. Paper filters have very tight weaves, using a wood-pulp based paper element that is pleated (folded) in a simple over/under pattern. This yields a large filtration space inside the relatively small frame. With the old filter (left) out, you can see the difference in cleanliness to a new filter (right). If you look inside the pleats, you can see butterflies, lady bugs, all kinds of goodies! 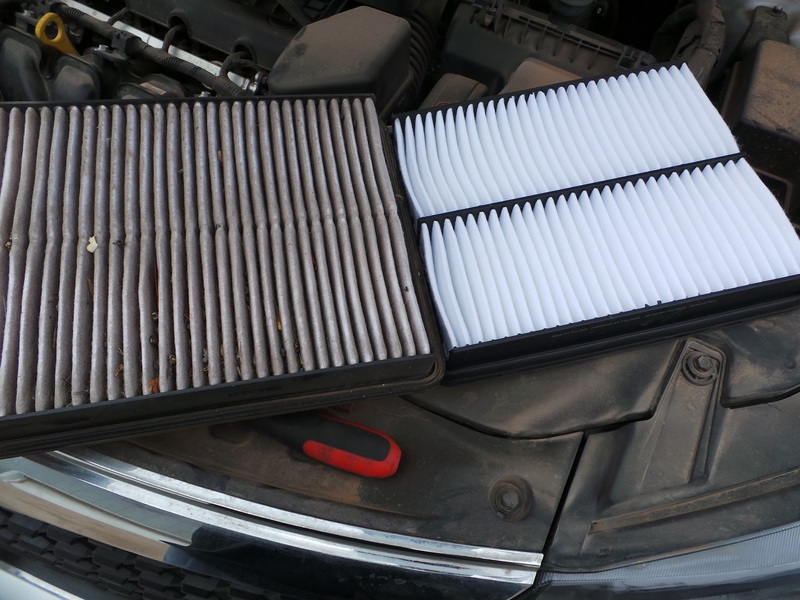 Filtration: This is the main job of the filter, to catch the dirt and debris from entering the engine. 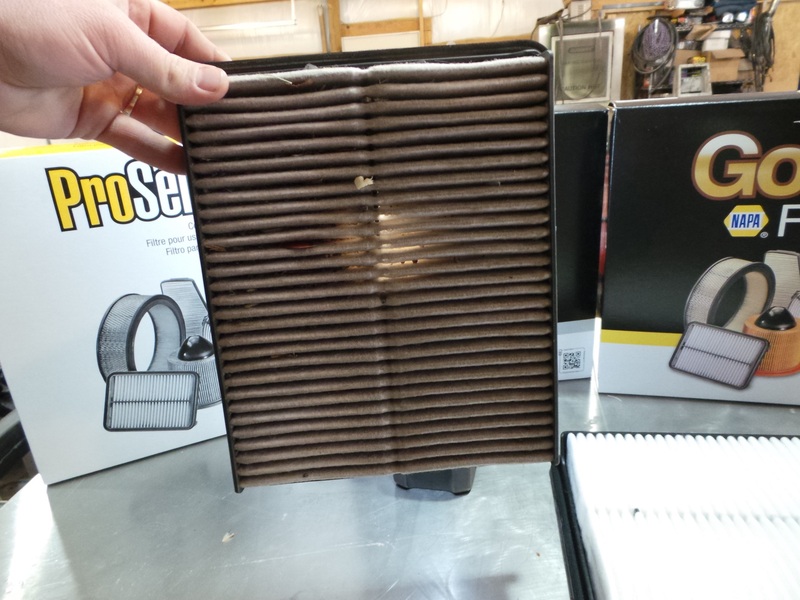 When considering an air filter, the filtration level is the most important factor. 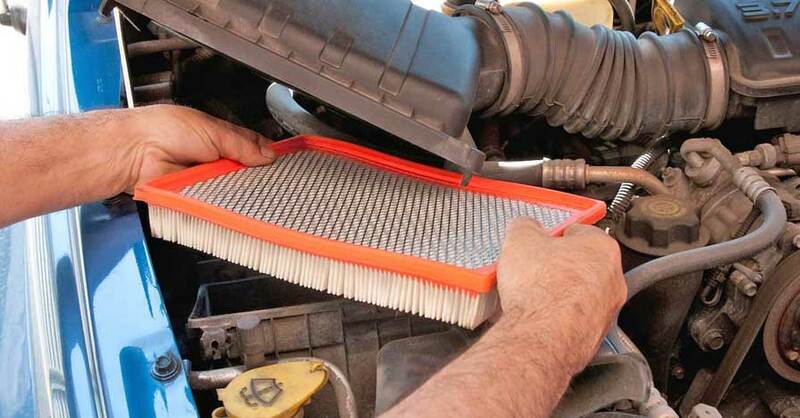 Flow: A free-flowing air filter is important to getting the most air into your engine. As the filter collects dirt, it will flow less air. You can put a light behind your old filter to see if it used up. You can barely see the light in the old one. This is plugged up. The biggest factor for an air cleaner is following the appropriate replacement schedule. A typical paper element should be replaced every 10-12,000 miles, while an oiled cotton-gauze element should be cleaned and re-oiled every 50,000. 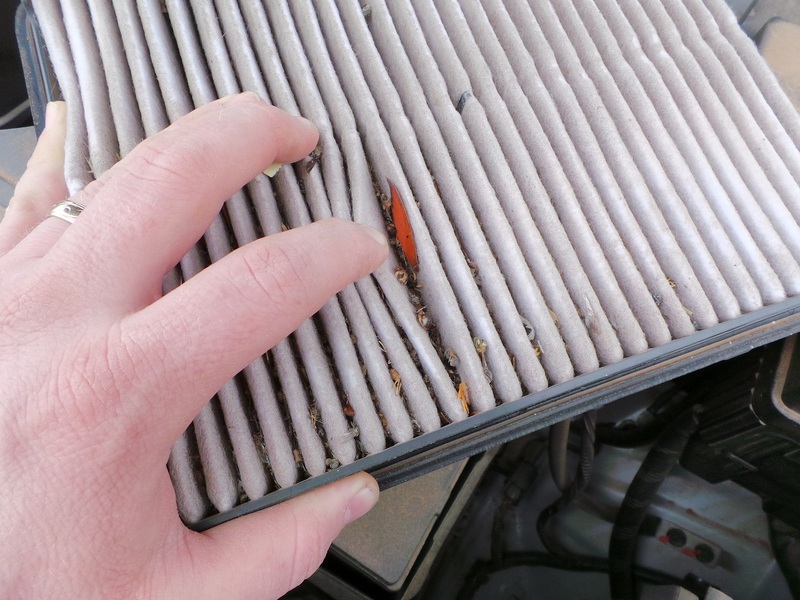 Check your air filter to ensure that your engine is operating at its peak. There is so much light coming through the filter, the camera had to be turned down. This is good. To learn more about NAPA AutoCare, visit www.NAPAAutoCare.com. Can a Fuel Filter Stop a Car From Starting? What Causes Oil Filter Collapse?